Curiosity Cloud, designed by Katharina Mischer and Thomas Traxler at The annual London Design Festival 2015. 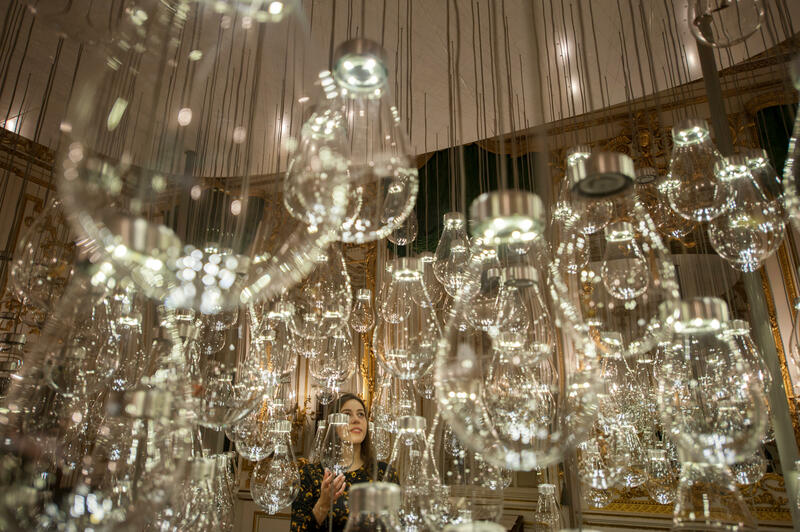 250 mouth-blown glass globes hang from the ceiling, each bulb contains a single hand-made insect. From a distance the insects are calm but as visitors approach they come to life, fluttering and trilling as they batter the glass that contains them.